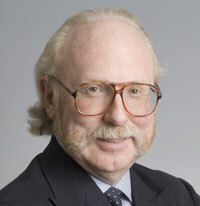 Roderick I'Anson Banks is widely acknowledged as a leading authority on partnerships and in particular on disputes and drafting issues facing solicitors' partnerships and LLPs and other professional firms. He has extensive hands-on experience in a wide range of disputes, with particular reference to good faith issues, expulsions, compulsory retirements and partner extractions. He is a seasoned litigator, having appeared in numerous highly contentious arbitrations and, as a CEDR accredited mediator, can advise on the best use of alternative dispute resolution. With an in-depth knowledge of current practice and developing trends within the professions, he also brings innovative solutions to the drafting of partnership and LLP agreements. A recognised expert in the field of limited and corporate partnerships, he also advises on the structuring of investment vehicles and the use or avoidance of partnership status in large commercial ventures. He was co-editor of Lindley on Partnership from 1979 and has been sole editor of Lindley & Banks on Partnership since 1990 (20th edition due for publication September 2017). He was also the author and original general editor of the Encyclopedia of Professional Partnerships and contributed the chapter Forfeiting limited liability: the hidden risks for private equity investors" in PEI's Private Fund Dispute Resolution (2014). He was recognised as one of Chambers & Partners' top 100 barristers in 2013. He was actively involved in the preparation and drafting of the Limited Liability Partnerships (Jersey) Laws of 1997 and 2017. He acted as a consultant to the Law Commission in its review of partnership and limited partnership law and was a founder member of the Association of Partnership Practitioners. He lectures widely on partnership-related topics. "... brilliant analyst ... the top choice in this field ..."
"With 30 years of experience under his belt, he is admired as robust, resilient and extremely well organised." "... technically outstanding ... he's got wide experience and he's written the book ... he entered this sector before the others and has made it his own." "He's the one you go to for a rock solid partnership answer."